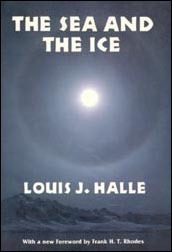 Well known as a nature writer and an amateur specialist on seabirds, Louis Halle has written an fascinating account that is alive with the beaty, the astonishment, and the uniqueness of his Antarctic voyage. This is a naturalist's book, enhanced by the author's knowledge of the history, geography, and exploration of the area. An informed and acute observer of the birds and other creatures, Halle reveals their exquisite adaptations to a climate more inimical to life than any on earth. Like his earlier works in this field, The Sea and the Ice provides unusually delightful reading for the naturalist, the bird enthusiast, and the armchair explorer.